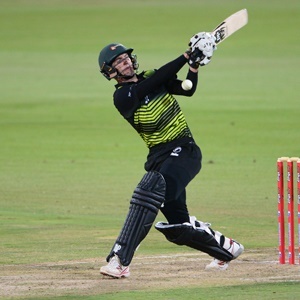 Cape Town - The Knights were taken down to the wire before they beat the Warriors by four wickets with two balls to spare in their RAM SLAM T20 Challenge match at the Mangaung Oval on Friday evening. It was their second win in 4 matches and advances them to joint second place with the Dolphins on the log. They do, however, have a game in hand over the Dolphins. Chasing a competitive target of 156 the Knights got away to a good start with David Miller laying the foundation with his innings of 48 off 37 balls with 6 fours. This was followed by an important partnership of 45 in only four-and-a-half overs between Patrick Kruger and Ryan McLaren before Marchant de Lange got them across the line from the only ball that he faced, belting it to the boundary. McLaren, who was dismissed off the last ball of the 19th over, played a key innings of 31 off 18 balls with a four and 2 sixes. Jon-Jon Smuts was the most successful bowler with 2 wickets. Earlier, Colin Ackermann (74 off 51 balls, 5 fours and 2 sixes) underlined his credentials as one of the best young batsmen in the country as he powered the Warriors to a competitive total of 155/6 after they had been sent into bat by the Knights. The Warriors had got themselves into trouble at 65/4 in the 12th over before Ackermann took charge and the fact that the next best contribution for the visitors was the 23 of Smuts emphasised what a key role Ackermann had played. There was support down the order from Jerry Nqolo and Lesiba Ngoepe. The bowling honours were shared by Shadley van Schalkwyk and Mbulelo Budaza with two wickets each while Eddie Leie was also impressive, taking one wicket for only 20 runs in his 4 overs.